Tzatziki is a class, well known and loved Greek dipping sauce. We serve it on everything from traditional gyro pita sandwiches to lamb chops and salad. 1) Add all ingredients to a bowl and mix well. 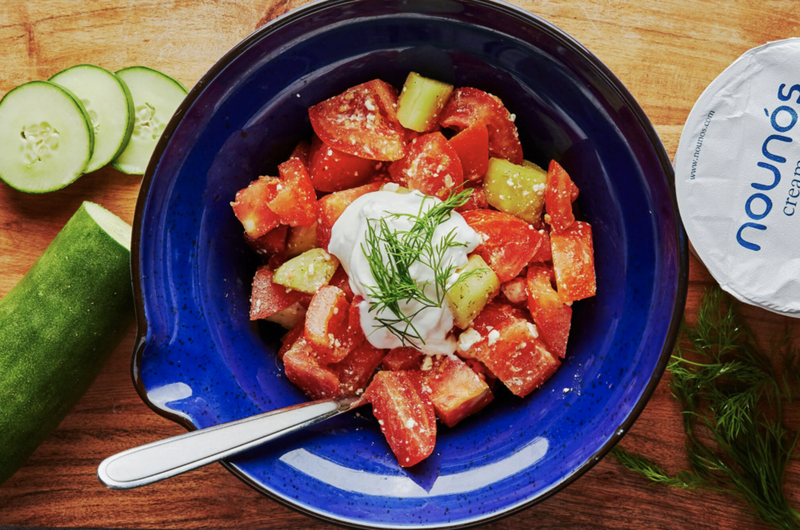 Serve with pita chips or fresh vegetables, or try pairing it with grilled meats or salad dishes!